Ready To View And Move In! A modern brand new two bedroom apartment located on the sixth floor! 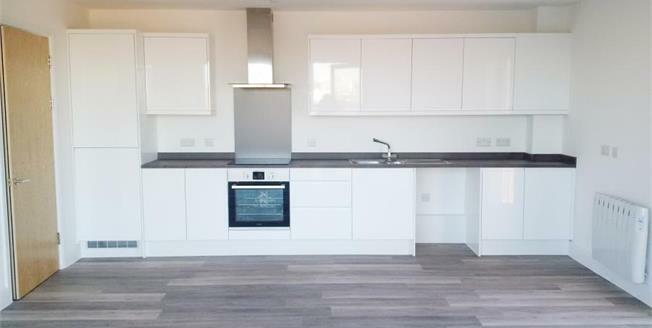 Plot 82 is a light and airy open plan apartment with the kitchen/ living area having dual aspect windows and a door opening onto a wrap around balcony which offers views to two sides, including the Wharf and an overview of the development. The master bedroom has an en-suite, bedroom two a built in wardrobe whilst the family bathroom has a white suite with contemporary tiles. Schooner Wharf is just a short stroll to the business centre at Callaghan Square and the wide range of entertainment and employment opportunities available in Cardiff Bay. They are situated right on the waterfront at Atlantic Wharf and lye mid way between the City and the Bay with easy access to the City where the amenities are plentiful. Interest is high with many buyers moved in!